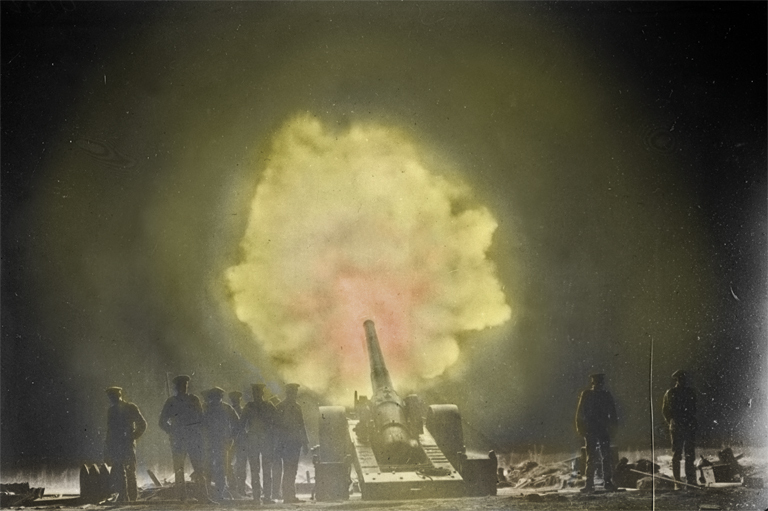 Canadian artillery forces shell the enemy during the Battle of Vimy Ridge, April 9 to 12, 1917. 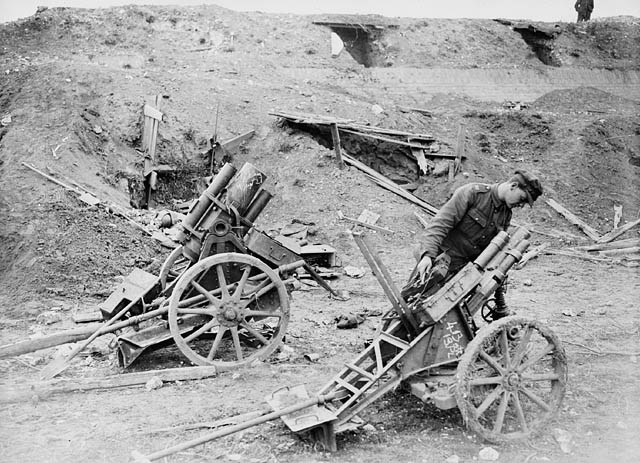 Improvements in artillery tactics and technology were a key factor in the Allied victory in 1918. 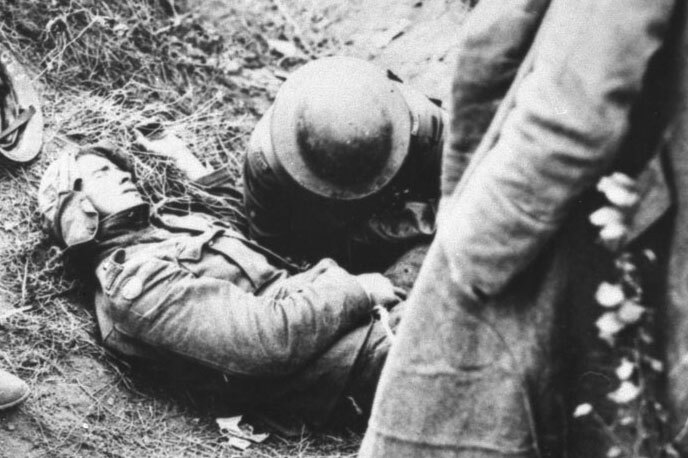 Given the seemingly interminable slaughter, many people feared the Great War would last forever. Then, suddenly, in the summer of 1918, the stagnant war of attrition on the Western Front became one of sudden and swift advances as the Allies pushed Germany out of occupied lands in Belgium and France. How did the tide turn so quickly? The answer lies in a combination of factors. For most of the war, Germany held a territorial advantage. The Germans invaded Belgium and France, dug in, and fought a defensive war from a position of strength, content to let the Allies smash countless waves of soldiers in futile attempts to breach German lines. However, after years of failure and the sacrifice of millions of Allied soldiers, Allied generals finally began to embrace innovations in both technology and tactics. For instance, airplanes, once objects of ridicule, became essential. Aerial photography of battlefields and improved wireless communication between pilots and the artillery below helped to improve the accuracy of barrages. Meanwhile, the introduction in 1917 of tanks made it easier for the Allies to punch holes through German defences. 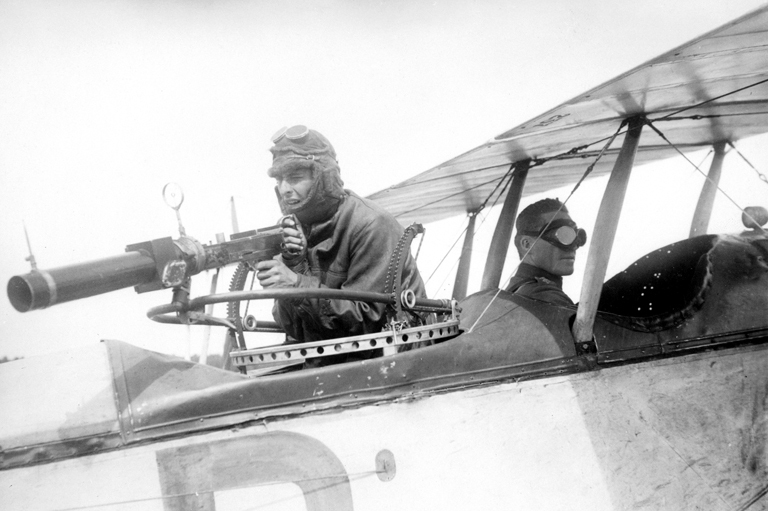 A Canadian airman practices using a Hythe MK III camera gun. The camera replicated the feel of a Lewis gun and was used to train pilots to become better shots. New technologies were married with new techniques of fighting. One example, used to great effect by the Canadian divisions at Vimy Ridge in 1917, was the “creeping barrage” — a coordinated attack whereby troops closely follow a timed curtain of advancing artillery shells. By 1918, the Allies also enjoyed a growing manpower advantage. While the British Empire could draw on its dominions, including Canada, for more soldiers, Germany’s armies were being slowly exhausted. Meanwhile, the 1917 entry of the United States into the war offered the potential of literally millions of fresh new troops, along with abundant supplies for the war effort. Fearing the looming manpower disadvantage, the Germans in the spring of 1918 launched a major offensive aimed at knocking France out of the war and forcing a negotiated peace. 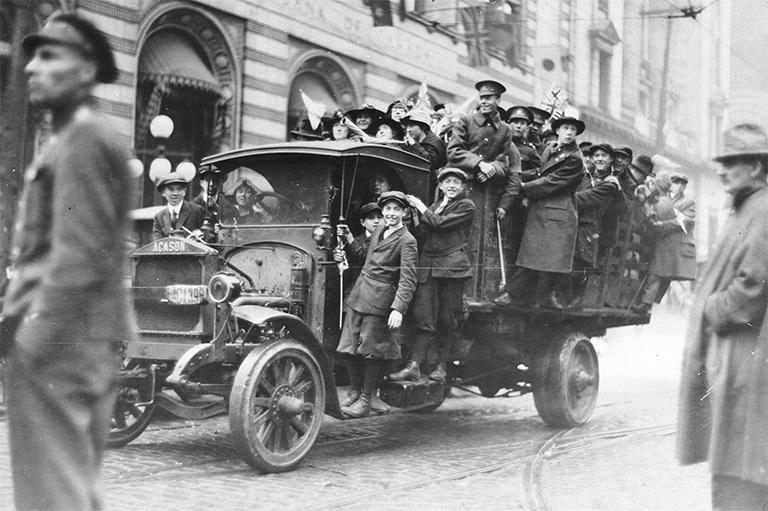 Toronto residents celebrate the end of the war on November 11, 1918. Ultimately, the plan failed. The German offensive ran out of steam at the Second Battle of the Marne, dashing Germany’s dreams of a decisive victory to end the war. 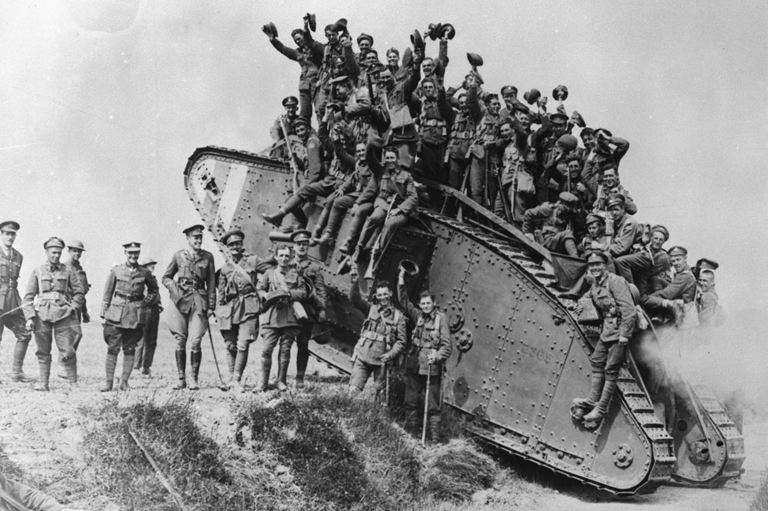 By the summer of 1918, the Allies, often led by the Canadians, pushed back the Germans in a series of battles collectively known as the Hundred Days Campaign, which eventually led to the armistice on November 11, 1918. 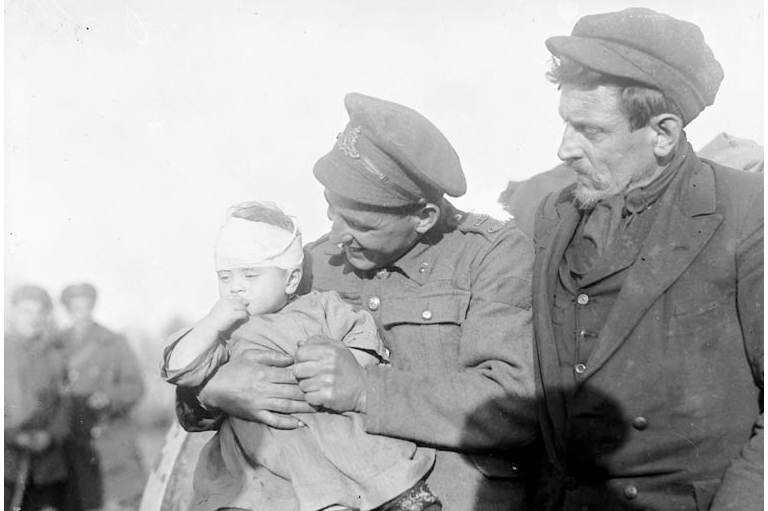 The Hundred Days Offensive was a series of battles in the summer and fall of 1918 during which Canadian and Allied forces pushed the German Army into retreat, leading to the end of the war. The surprise assault at Amiens proved one of the most successful days of battle for the Allied forces and delivered a staggering blow from which the German Army could not recover. The decision to liberate Mons on the final day of the war was controversial. Critics claimed Canadian lives were sacrificed for a symbolic victory. Remembering the Great War through historic sites on the home front. Courageous Canadian action results in mass capture of Germans during the 100 Days Campaign. Colourization project breathes new life into First World War images.